The preliminary program includes confirmed presentations in blue/black and tentative presentations in grey. Please check the program frequently for updates. Lori Adakilty is a principal program manager for Microsoft Research. She has twenty years of experience engineering software efforts from inception through release and has worked on many different projects including Encarta, Windows, Visual Studio, and Xbox. She has spent a few years working on process improvement efforts and earned her Six Sigma Black Belt, and also created original courseware and conducted classes on how to get to the right metrics and measurements. Adakilty has served twenty years in the military—both active duty and Air National Guard—where she gained experience in graphic design and information systems, helping to create a reporting analytics tool for area commanders long before such things existed. She received her B.S. in computer science from St. Martin’s University in Olympia, Washington. Making multi-institution collaborations work – is there a secret sauce? Storyteller - World War One: Love and Sorrow - A hybrid exhibition mobile experience. Modeled on the art school critique, Web sites are volunteered in advance by MW attendees who are present to pose the problems they faced and respond to commentary. The Web Crit is an interactive conversation between the presenter (whose site is the topic of discussion), the panel, and those in the session. the site representative will present the site briefly (max. 4 minutes) highlighting the challenges they face and the areas where they’d like feedback. National Science Museum first opened in 1945 in Seoul and later relocated to Deajeon in 1990. Since beginning, the Museum has growing rapidly with Korea’s IT and Science industry. Recent year, it opened the Advanced S&T Center, Space Exploratorium, Science Alive Discovery Center, Advanced Science & Technology Center, and Science Campus. There are exhibits featuring about 4000 items based on nature and natural science at the Permanent Exhibit Hall. There are also exhibit halls featuring Korean nature, weapons, and folk musical instruments. You can see the stages of collecting energy from nature, and its use in transportation. Outside the Hall is Cheomseongdae, a weather evaluating machine from the Goryeo period; models of plant-eating dinosaurs; and a steam engine. The shuttle will be provided. Creating 'Open' Mobile Audio Guides. Why it Matters and What it Offers. Sandwich will be provided to all attendees at the Foyer. Matisse Museum in Le Cateau Cambrésis, Northern France. The singular history of the museum and the issues of its entry into the digital. How digital can help museums to reach new audiences? The museum was designed by French architect Laurent Beaudouin, to commemorate the life and work of the artist Goam Ungno Lee (1904-1989), who devoted his whole life to the modernization and globalization of Korean tradition through architecture. The building pays homage to Lee’s life and works, dating from his early ventures to his final days. and the Leeum Samsung Museum. Opened to the public in 2008, the Nam June Paik Art Center aspires to revive the generosity, criticality and interdisciplinary nature characteristic of both Nam June Paik’s work and life. To fulﬁ ll the artist’s wish building ‘the house where the spirit of Nam June Paik lives on’, Nam June Paik Art Center develops creative and critical programs on the artist. The curving exterior of Nam June Paik Art Center building takes the form of grand piano, which makes a frequent appearance in Paik’s works, and its shape also refers to ‘P’, the ﬁ rst letter of his surname. The Nam June Paik Art Center building is designed by German-based architects, Kirsten Schemel and Marina Stankovic / KSMS. Special Exhibition, “Good Morning Mr. Orwell (2014 17 Jul. 2014– 16 Nov. 2014)” will be available for MW Tour. 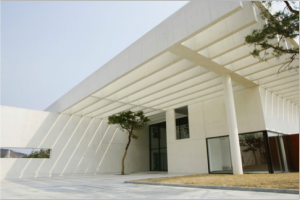 The National Museum of Modern and Contemporary Art, Korea is going to open a new branch in 2013 in Sogyeok-dong, Jongno-gu, where former site of Defense Security Command was located. The announcement for the construction of the new museum was made in 2009, and the architecture for the museum was selected through idea proposals and architectural design competition in 2010. Equipped with multiple facilities including a reference center, project gallery theater and multipurpose hall, etc., National Museum of Modern and Contemporary Art, Seoul strives to accommodate every mode of new artistic endeavors and communicate with the public. 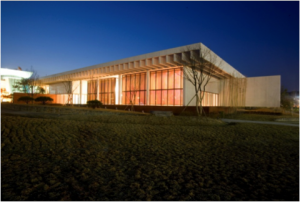 The Leeum, Samsung Museum of Art opened, after several years of preparation, as an international art and cultural center for the display of both Korean art and world art. The late Hoam Lee Byung-chul, the founder of Samsung, had displayed his beloved collections of Korean national treasures and art pieces in the Ho-Am Art Museum, Ho-Am Gallery, and the Rodin Gallery. Inheriting the founder’s will, Mr. Lee Kun-hee, the Chairman of Samsung, has been passionately collecting fine artworks of Korean and international contemporary artists, accumulating and preserving Korean treasures with a high historical value. Now, as a fruit of years of hard work, we are opening the Leeum, Samsung Museum or Art to share with you our outstanding art collection. The buildings of The Leeum, Samsung Museum of Art were designed by the internationally renowned architects Mario Botta, Jean Nouvel, and Rem Koolhaas to combine the past, present, and future of art and culture, and are in themselves remarkable artistic experiences. Please meet us at ECC building: B263 or B266 @ Ewha Womans University Museum at 8:45am. The University will host the coffee and tea and their staff will walk to the workshop rooms with you. 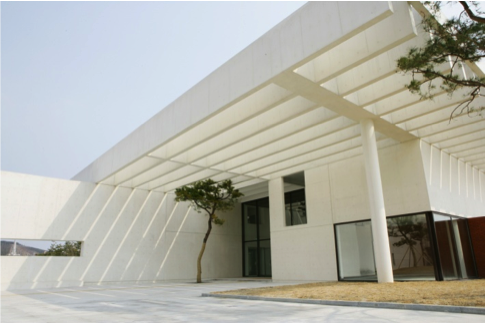 Ewha Womans University Museum opened on April 6, 1935, as part of the effort to preserve the Korean cultural heritage. The University Museum is the oldest University Museum in Korea. The museum holds an extensive collection of Korean cultural heritage items from diverse fields including archaeology, history, folk life and art, ranging from prehistoric to modern times including the Joseon period. It houses one National Treasure, the “White Porcelain Jar with Grapevine Design in Underglaze Iron”(No. 107), eleven Treasures, including the Celadon Jar with the Inscription of the 4th Year of Sunwha” and “Album Commemorating the Gathering of the Members of the Hall of Elder Statesmen(Gisa-gyecheob)”, and three Important Folk Materials.